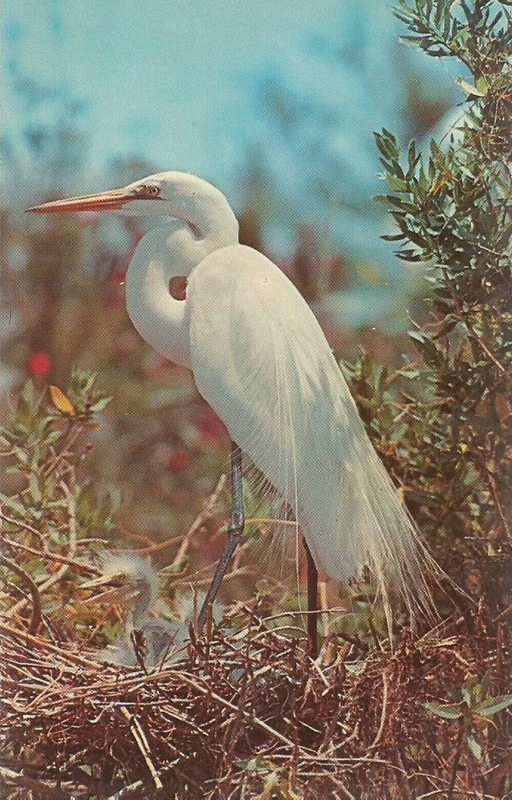 Common Egret - These graceful white wading birds (note black legs and yellow bill) owe their existence to the protection won for them by the National Audubon Society at the turn of the century. 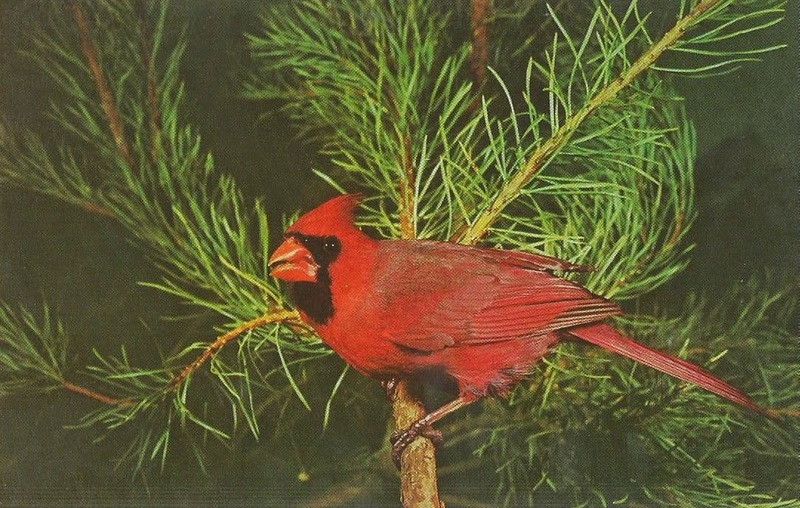 With its brilliant color, the cardinal is probably the most popular bird in the U.S. It is the state bird of 7 states. It does not migrate and lives in most states east of the edge of the plains. With its powerful bill it easily cracks corn and other seeds and feeds on insects. 3 or 4 eggs are laid and the male, shown here, helps care for the family. Cardinals have a pleasing clear whistle. 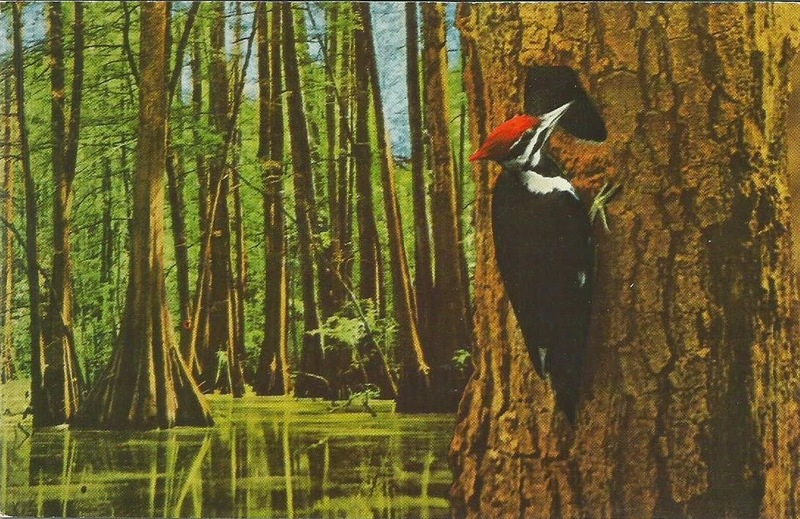 Named for its hairy crest, or pileous crest, this woodpecker is well know to people interested in birds, who know that they can find it in cypress swamps or in heavy timber. As the trees are cleared, the birds go too. Huge for woodpeckers, they have a wing span of up to 30 inches. Its call can be heard some distance through the swamp. They clean infested trees of great quantities of insects, sometimes removing considerable dead wood to reach them.